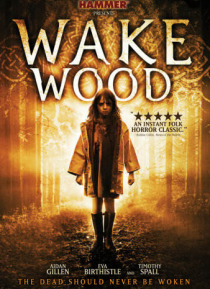 After the sudden and violent death of their 9-year-old daughter Alice, Patrick and Louise relocate to the remote town of Wake Wood to start their lives anew. But they quickly discover that beneath its idyllic country facade the town holds a dark and mystifying secret-a centuries-old pagan ritual that brings the dead back to life for three days. Desperate to say the goodbye they never had the chanc… e to, Patrick and Louise agree to resurrect Alice.